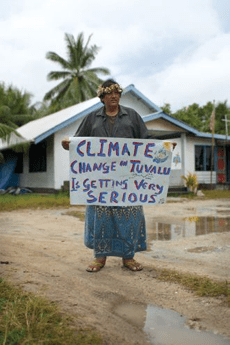 Recently, I attended the “Pacific Islands Climate Relocation? Where do we go?” forum held in Brisbane. 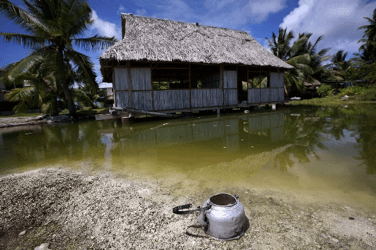 The general theme of the forum was in regard to the effects on South Pacific nations of Climate Change and its effects on “Human Migration”. The speakers all spoke about the impact not only directly on the people but their culture and heritage. They all spoke about the will of the local people to deal with the resulting issues in their own style but that there was a need for assistance to enable solutions to be generated. The unified voice was “climate change was created by others far away – but they are the ones feeling its effects”. 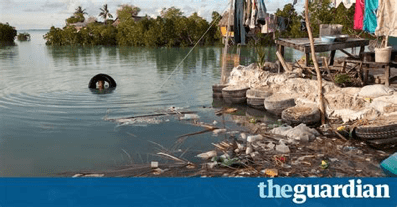 Rises in sea levels have seen islands disappear under the waters, schools submerged and cemeteries lost. A proud group of people with firm spiritual ties to their lands and the waters – but now they are fighting to preserve those very lands and waters. Those that are currently assisting local groups are generally doing amazing work but it’s obvious that there is so much more to be done. The plight of the people in these areas is a testament to the values of the United Nations Sustainable Development Goals (SDG’s) and other initiatives such as the Earth Charter. The challenge continues to be that we need to bring groups together to recognise the issues and promote real consideration to a way forward across the region and to develop ideas and innovation in partnership with those most affected – the local peoples. The South Pacific region is important globally but it is more important to the people, the culture and the heritage of the region both for today and future generations.